A young boy would be probably regretting his action after he was publicly humiliated for stealing chickens. According to reports, the suspect was nabbed while attempting to flee with the chickens and was punished by those who caught him. He was stripped totally naked as the stolen chickens were tied to his body and paraded in public. Last year, a woman stole eight chickens at a market in Benin city, Edo state, before she was nabbed. The angry mob decided to humiliate her in public as they stripped her naked and paraded her round the market to serve as a deterrent to others. 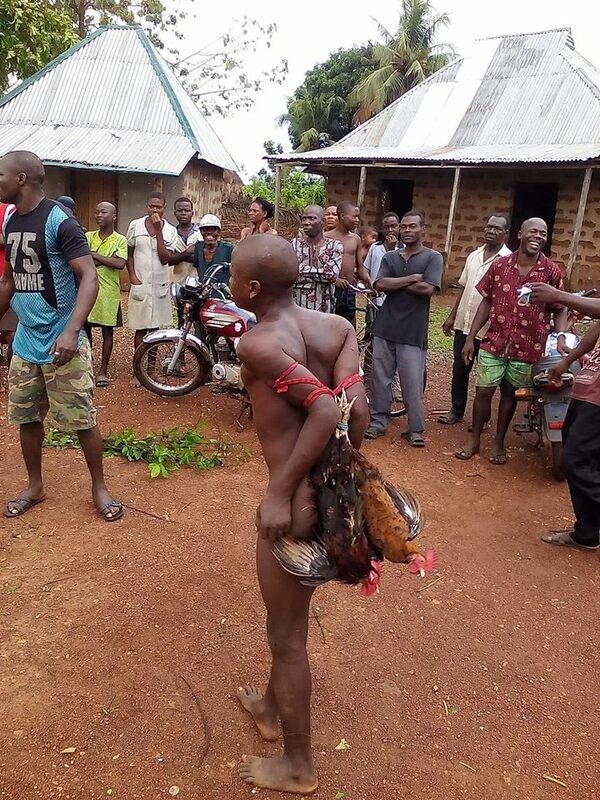 A boy steals chicken and was paraded naked. Ex military top brass like Amosu and others are celebrated. We need to stone these thieves, if we see them in town.